UNITED NATIONS, August 29 -- Here's how it works in Sri Lanka: after the UN stood by and worse during the government's "bloodbath on the beach" in 2009, it has commissioned a series of studies the most recent of which is still being withheld by Secretary General Ban Ki-moon. Subject: Your question on Sri Lanka. The High Commissioner for Human Rights was not in the vicinity of the peaceful protests by the UN compound in Sri Lanka today. In fairness, at least the UN Spokesperson's Office provided an answer. Questions Inner City Press directed weeks ago to Pillay's office in Geneva were acknowledged, but have still not been answered. Complaints pour in from Sri Lanka of people whose family members remain unaccounted for trying to meet Pillay but unable, saying she was "sneaked" into the Jaffna library through a back entrance with a "murky entourage." On that, we'll wait for her final report. But there's this: the very day before her visit, there was an Army-involved violent attack on the president of the new Sri Lanka Journalists’ Trade Union, the SLJTU. It was August 24 (the day that in Damascus the UN's Angela Kane was belatedly requesting UN access to Ghouta, in an ongoing story occupying much of Inner City Press' time, here), and a group of five men armed with knives and hand grenades stormed the residence of SLJTU president Mandana Ismail Abeywickrama, The Sunday Leader's Associate Editor. This is how it works in Sri Lanka. UNCA Executive Committee members from Voice of America, Reuters and Agence France Presse have tried to get Inner City Press thrown out of the UN. The Reuters bureau chief, it has now been documented, spied for the UN, turning over an internal anti-Press document to the UN's chief accreditation official Stephane Dujarric three minutes after promising not to do so: story here, audio here, document here. This has not been addressed in any way. 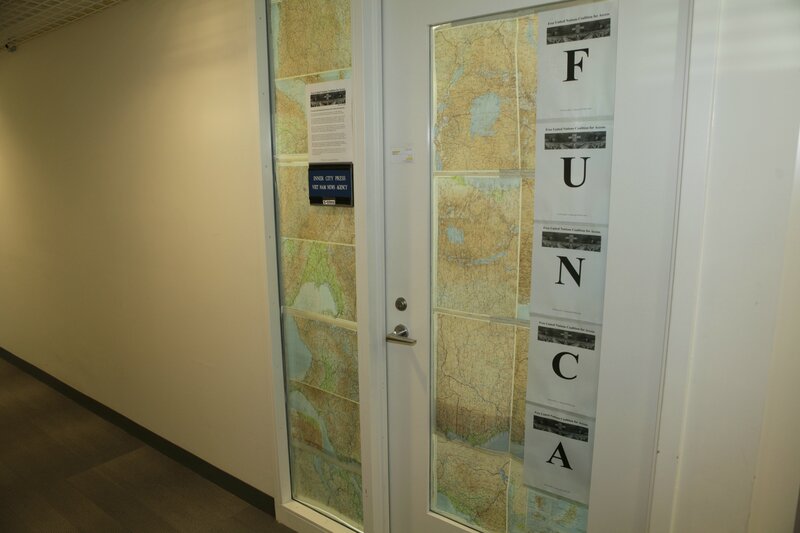 The new Free UN Coalition for Access, established in December 2012 to counteract such moves, has now been threatened by the UN Department of Public Information, or Inner City Press has, with suspension or withdrawal of accreditation for merely hanging FUNCA's sign on the door of its shared office, while UNCA has five signs. So, @FUNCA_info. 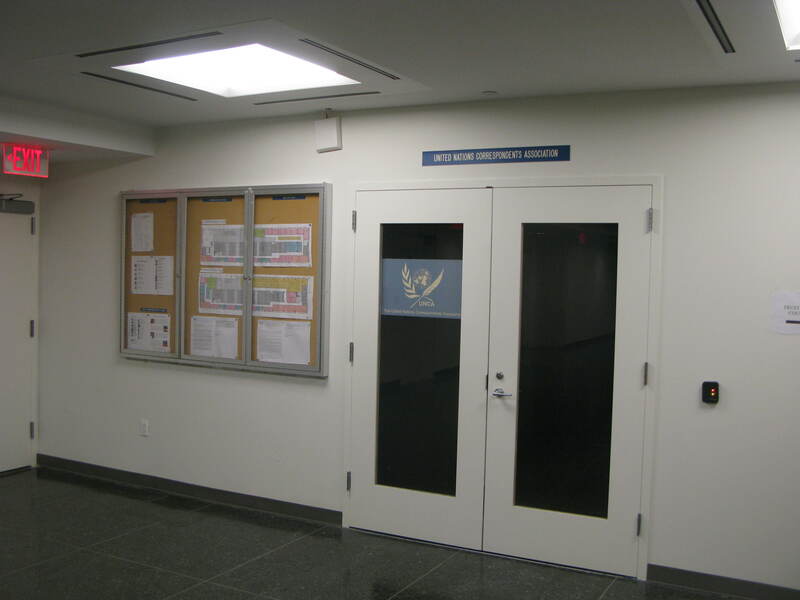 Ah, free speech and free press at the UN. Watch this site.